Fresh from a very successful tour of the UK, contemporary musician Jah Prayzah heads to Gweru this weekend for a performance with dancehall chanter, Killer T of the Itai Ndione fame. The two are billed to perform at the Midlands Hotel on Saturday evening at an event being organised by 2 Kings Entertainment. They will be backed by DJ Blesh, Pied Piper, Ras Killer, Ireland-based DJ Tonie Touch, DJ Frisque, Tonny and Zola. One of the show organisers, DJ Blesh said: “This show is meant for everyone, whether one is a dancehall lover or contemporary music. Jah Prayzah will be performing live as usual with his Third Generation band. Together they will churn out hits from the Jerusarema album including Chiname, Eriza and Hello. “Eriza is also expected to send the crowd into a frenzy mood with her mesmerising dance moves,” DJ Blesh said. 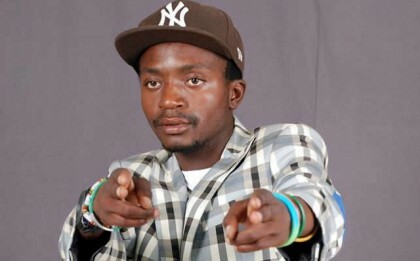 Revellers can also expect to hear Killer T’s hits Chikorobho, Itai Ndione and the latest release – Vanondibatirana which features Fungisai Zvakavapano-Mashavave.